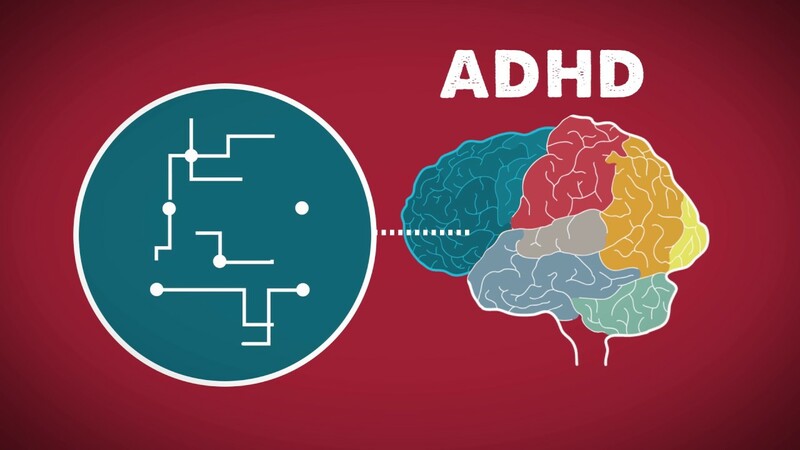 In order to medicate a child, ADHD must have been well diagnosed, and that it must be sufficiently severe and invasive in the child’s life to significantly compromise its development. Thus, firstly, it is essential to ensure that the child has a clear diagnosis of ADHD, based on a complete assessment, ideally in neuropsychology. See here the criteria to make sure that a diagnosis of ADHD has been made well, and to reduce the risk of false diagnosis. Academic sphere: If the child fails, or is failing several courses because of his inattention, or if the child has to spend an unreasonable amount of time to study to get just the grade of passage. Social / Sport Sphere: If the child is rejected by peers or is unable to integrate into a group of friends or to maintain friendships because of impulsive gestures and words or inattention in games for example. Or if the child is unable to practice the sports activities expected at his age because of his ADHD, and that it isolates him from his peers. Family sphere: When the inattention or hyperactivity / impulsivity of the child causes such tensions in the family environment, that these compromise the parent-child relations, or even the conjugal relationship between the parents. In some children with severe ADHD, there is also a fourth sphere: safety. A child or teenager who adopts dangerous or self-destructive behavior for himself or for others sees his normal development compromised. On the other hand, there are bad reasons to prescribe medication to children. For example, if the medication is simply aimed at getting a turbulent child into the norm; to make a child succeed in a successful school when he would be doing very well in a regular school; if the medication meets the needs of the adult and not of the child; or if the medication is based on a misdiagnosis. In these cases, the CERC is unfavorable to the child’s use of medication. We are also against taking a drug that has serious side effects (see the next section below). We know how emotional and difficult it is for a parent. Following a neuropsychological assessment of ADHD at CERC, we will take the time to answer your questions and help you make the right choice. Our role is not to make the decision for you, but to give you the necessary knowledge and skills on the subject so that you can make an informed decision as parents. Loss of appetite: This is the most common side effect, and the most difficult to avoid. Nevertheless, the child should eat well and eat a good supper. Loss of appetite should be limited mainly to dinner time, where the drug is most active. It is imperative that the child continues to gain weight and keep within the standards of his growth chart. Difficulties of falling asleep at bedtime: A little more rare as a side effect, it would be mainly due to a too strong dose, or to a medication with too long a duration of action. An adjustment of the medication often eliminates this undesirable effect. Changes in personality: This is the most undesirable side effect. This should NEVER be tolerated by parents. Thus, under medication some children become either more tense and anxious, or more apathetic, extinct and stunned. This is an abuse that should be stopped on the spot. The choice of a medication and its dosage is a decision for the doctor. Parents are therefore invited to discuss it with this one. In addition, here is the list of drugs that exist to treat AD / HD, as well as a brief description of their main advantages and disadvantages. Ritalin: Ritalin has been around since the ’60s. Although it is still widely publicized, it is almost no longer prescribed today. Its duration of action is too short (3 hours), which causes large fluctuations of attention and self-control in children. Concerta: First long-lasting medication (8 hours) based on methylphenidate. More effective in the afternoon than in the morning, so to privilege for the fatigable children with the cognitive effort. Main disadvantage: The pill can not be chewed or dissolved, it must be swallowed whole, which is difficult for some children. Biphentin: Long-lasting medication (8-10 hours). Unlike the Concerta, the Biphentin is more effective in the morning than in the afternoon. It is often preferred to Concerta at the primary level because the most important learnings are often in the morning. Another advantage of Biphentin, the capsule can be opened, which releases granules that can be mixed with a compote or a yogurt. So, easier to swallow. Adderall: Long duration of action (10-12 hours). Often used in second line, when methylphenidate is ineffective. Vyvanse: Very long duration of action (12-14 hours). Because of its long duration of action, it is the preferred drug for teenagers who go to bed later and have to study in the evening. In primary school children, it may interfere with sleep and cut off the appetite at dinner (in addition to dinner). This drug is also chosen as a first option for treating ADHD in adults. Strattera: It improves attention, without being as effective as the previous ones. It is often used when stimulants cause too many side effects. Strattera is also preferred in anxious children since it may reduce anxiety slightly (while stimulants may increase anxiety symptoms). The Strattera is effective over 24 hours and unlike other drugs, it can not be interrupted during weekends or holidays. The time of action Strattera is 4 to 6 weeks after the start of treatment. Intuniv: A newcomer in the treatment of ADHD, it is a drug originally developed to treat hypertension. In the treatment of ADHD, it would mainly reduce hyperactivity, and also the anxiety frequently associated with ADHD. To improve attention as such, Intuniv can be combined with a small dose of one of the stimulants described above.